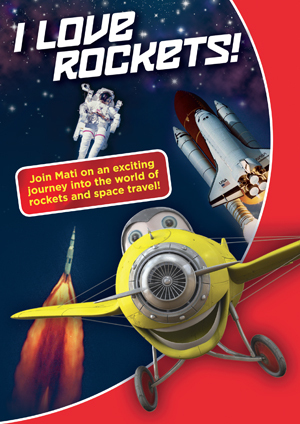 Join Mati on an exciting journey into the world of rockets and space travel! 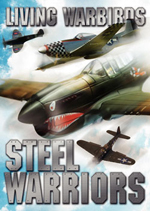 Featuring historic video, real sounds of rocket launches, and real voices of the astronauts and mission control, children of all ages will be entertained for hours by this DVD! Mati takes children of all ages on a fun and educational journey into the world of rockets and space travel. 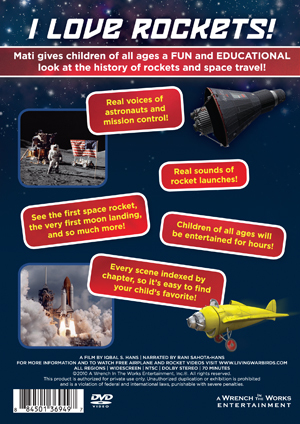 Through historical video and interesting facts, children will learn about all the different types of rockets in history, how they work, and what each mission accomplished! 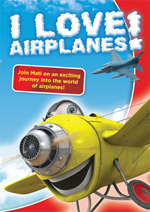 Your child will want to be an astronaut after watching this DVD! 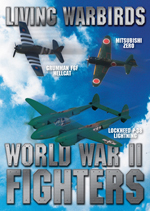 -The history of space travel, including the very first rocket to reach space, the first animal in space, the first moon landing, the first rocket powered airplane, the first space shuttle, the International Space Station, moonwalks, spacewalks, and so much more! -Video of real rocket launches from the very first space rocket to the space shuttle! -Real sounds of the rocket launches! -Real voices of the astronauts and mission control! -Dazzling views of the moon and Earth from space, with beautiful classical music!